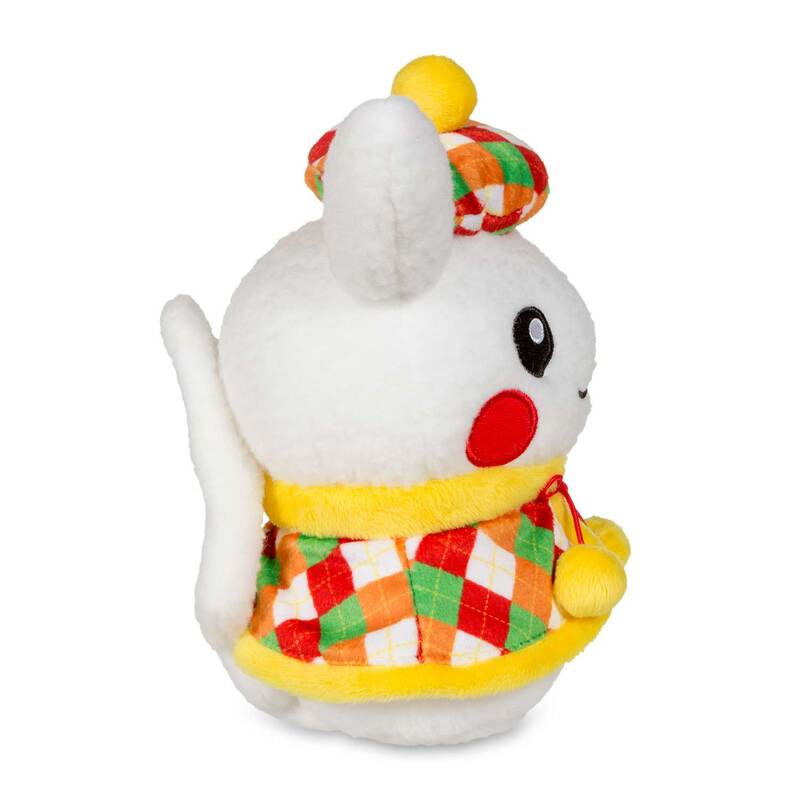 Pikachu Holiday Snowman Poké Plush (Female) (Standard Size) - 7 1/2 In. 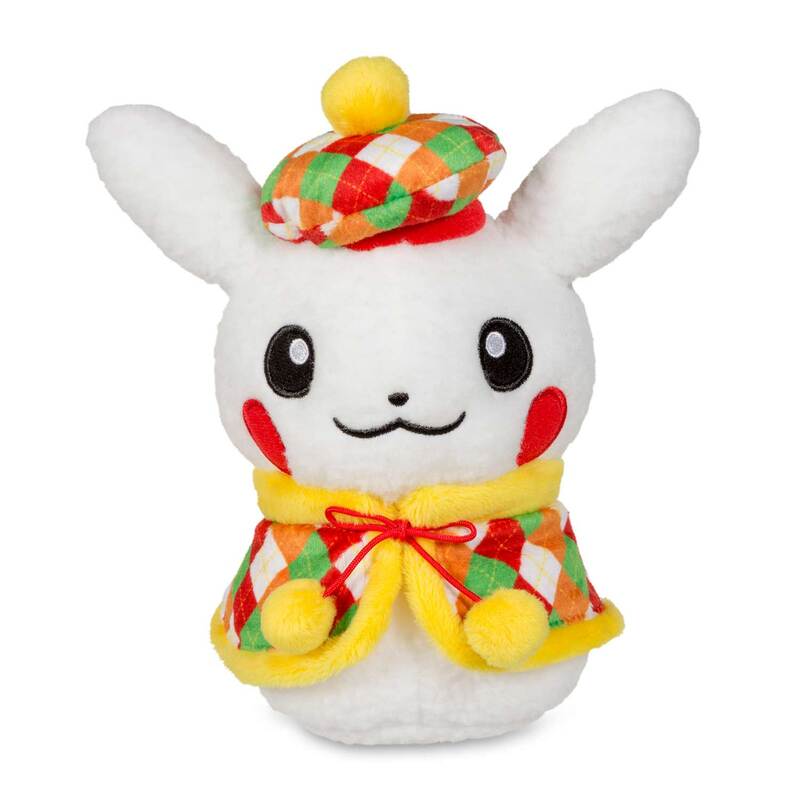 Pikachu Snowman is ready for the season in a checkered cap and matching checkered cape with yellow plush fur edging and two pom-poms holding it together. 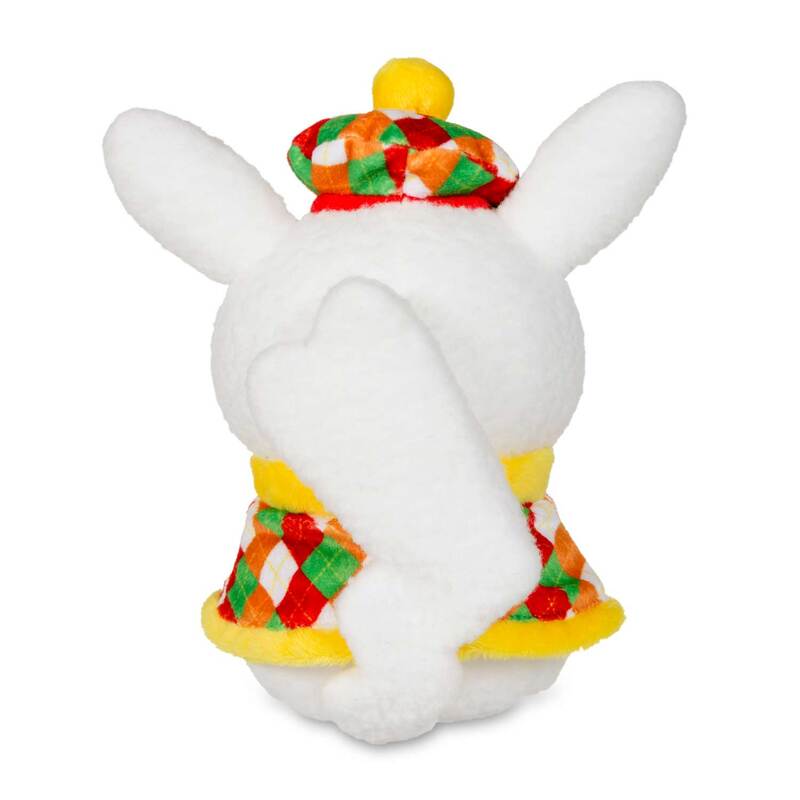 Fuzzy plush snow and an all-white tail make it clear this is a wintery Pikachu! A Pokémon Center Original design! 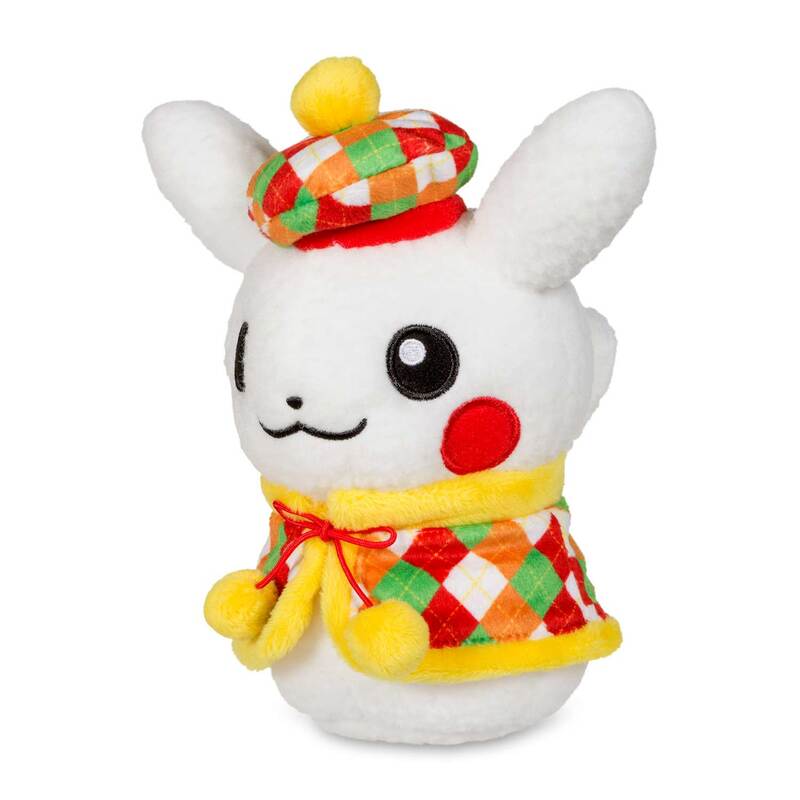 Snowman Pikachu plush with a scarf and a checkered cap! Snow and smiles with Pikachu!